There will be no food or beverage service during the performance. Guests can still order dinner and drinks at their tables starting at 7PM when doors open, but table service will be suspended once the performance begins. Service will resume once the performance has concluded. 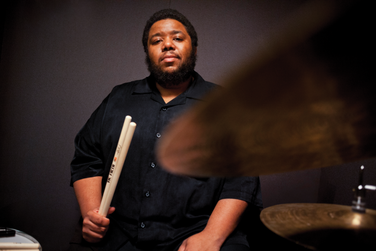 MacArthur Fellow and composer/drummer Tyshawn Sorey is a leading young artist blurring the boundary between composed and improvised music. His efforts to shatter boundaries by weaving classical composition and improvisation are influenced by history’s boldest composers. The Artist Partner Program brings you the new Speed of Sound Sessions (S.O.S. ), a celebration of musicians who support and promote composers whose work was created in the 21st century and who respond to the contemporary world in which we live. The S.O.S. Sessions are a fun, interactive way to engage with adventurers just like you.